Why open a DHL account? Fast delivery, unrivalled reliability and customer service tailored to your business’ needs – as a DHL customer these are all a given. 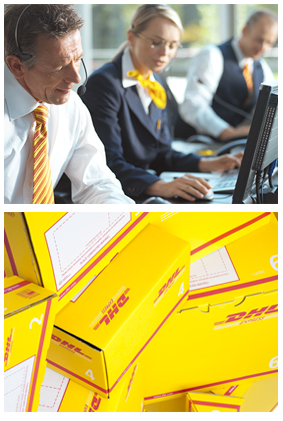 But a DHL account brings a whole host of other benefits that will help grow your business internationally. What’s more, anyone who ships more than 6 times per year is eligible to open an account! No more complicated price guides. We know that transparency is key, so you’ll understand exactly how much you’re paying at all times. It’s important that every shipment runs smoothly. That’s why we provide you with the support you need, when you need it – starting with your first shipment. Our Irish-based customer service team is only a phone call away – so support is available whenever you need it. Our team of international specialists help make it even easier to book a shipment, no matter how complex your requirements.